About an hour or so West of Omaha Nebraska you’ll find the town of Norfolk, population 25,000. 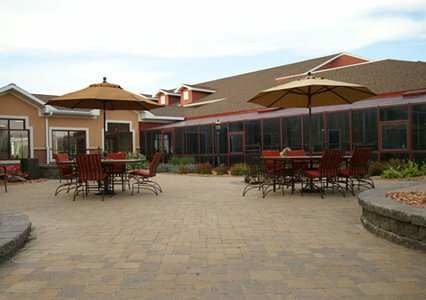 This quiet community boasts a surprisingly festive destination: Divots “D’events” Center at the Norfolk Lodge & Suites. The Divots center hosts conferences, weddings and small conventions in the 30,000 sq ft facility. The connected lodge provides accommodations for overnight guests and the adjoining restaurant, Sandbar & Grill is also a microbrewery. Also part of the facility is a putting course and volleyball court. It’s an interesting setting in the country with unique amenities designed to delight all who visit. 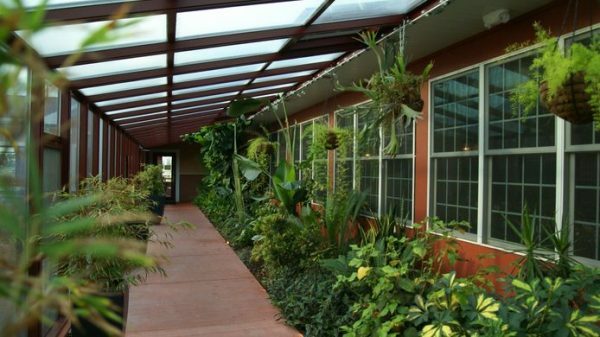 When you are ready for a break you can catch a bit of sun in the glass walkway that stretches along the back of the restaurant and bar. Just outside the walkway is a patio featuring seats around fire pits. All in all, Divot’s D’Events Center is a really a nice destination for special events. 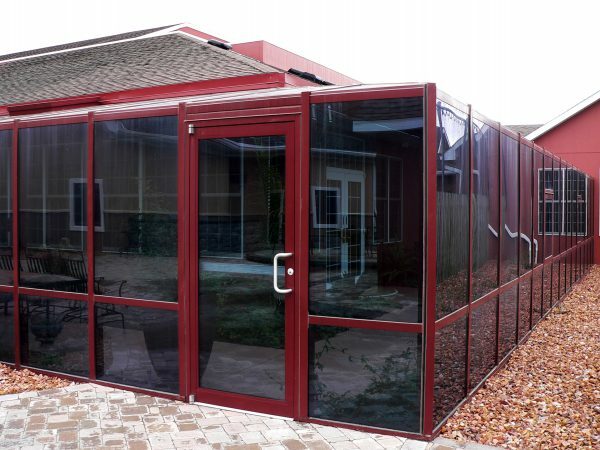 The solarium built by Crystal Structures is a lean-to style, with a low slope roof and front wall attached to the facility and wrapping around the corner. The glazed walls stretches more than 65′ one direction, 45′ down the opposite side. The framework was specially painted in a reddish brown hue to match the existing structure. The solarium itself is a bit more than 12′ wide allowing ample room for ambling about. 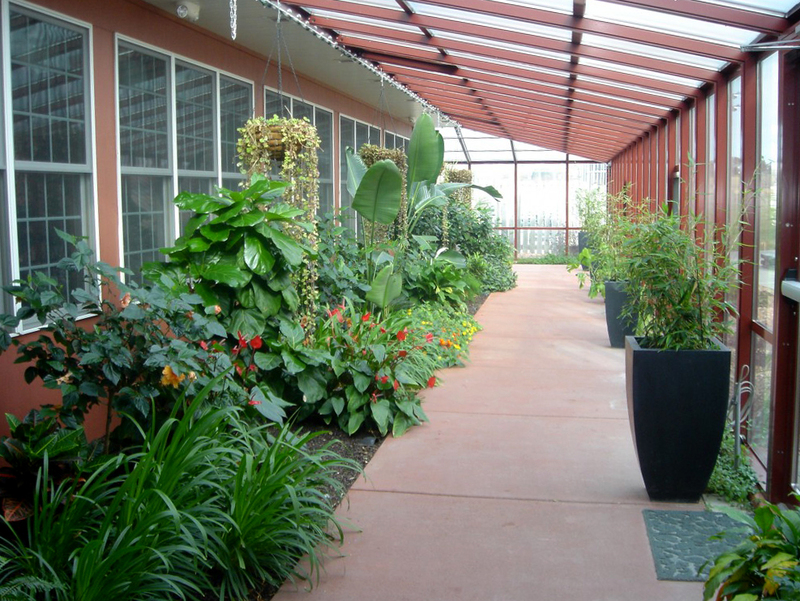 Learn more about our glazing systems here.